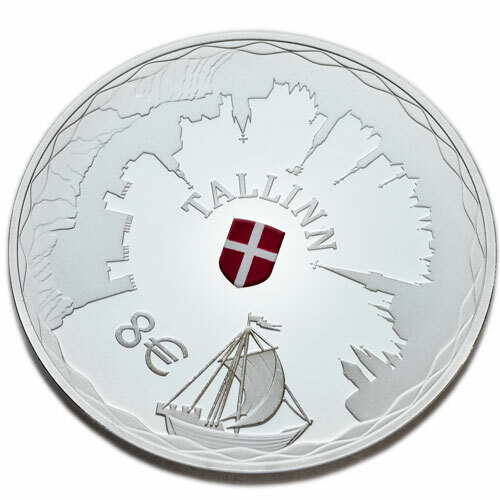 Bank of Estonia will issue a collector €8 coin commemorating Hanseatic Viljandi this year. Elisabeth Juusu, a student at the Estonian Academy of Arts, won the design competition. The coin is likely to be issued in second half of 2019. Nice obverse design! Worthy of a circulation coin. The first coin in that Hanseatic League Cities series (Tallinn 2017) I like. They also issued a €25 gold coin on that occasion. This one, hmm. A ship with its sail from above?